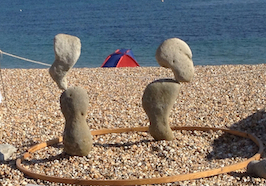 Adrian Gray’s stone-balanced sculptures on Lyme Regis beach. e.g. “Vision without action is daydream; action without vision is nightmare.” (Japanese proverb). Write a story about two women, one cautious, one impulsive. They meet somewhere unusual – what happens to change the balance in their lives? Include a sentence with a ‘paired construction’, as in the proverb above. After you’ve written your first draft, check your story for balance. Have you a mixture of long and short sentences? Did you include enough details of the setting? 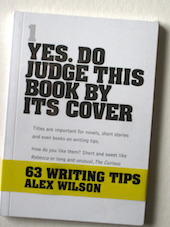 Is your dialogue relevant to the action of the story? Are you balancing showing with telling? This entry was posted in Writing Prompts on September 8, 2015 by Editor.